New Directions Publishing Corporation, 9780811218085, 88pp. Beautifully designed, this New Directions gem (originally published in the 1940s and reissued in the 1970s) rings with the deep sentiments of the season and just the right splash of holiday cheer. Christmas Poems comes with French flaps and is the perfect size for a stocking stuffer. 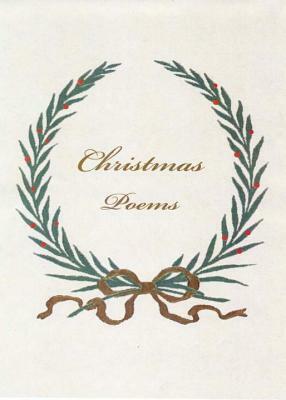 Christmas Poems was originally edited by Albert M. Hayes and New Directions founder and publisher James Laughlin as A Wreath of Christmas Poems, and published as part of the "Poets of the Year" series in 1942. The collection was updated and revised in 1972, and selections for this newly revised 2008 edition have been chosen by the editorial staff at New Directions.